Yosemite National Park has more than 800 miles of outstanding hiking trails with unsurpassed views of mountain peaks and dramatic waterfalls. 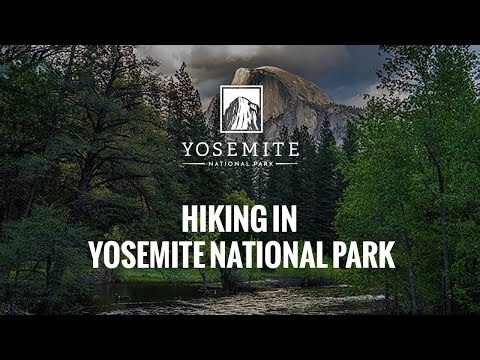 We offer guided day hikes ranging in length from just a few hours to full-day trips (for the most fit and experienced hikers) to the top of Half Dome. Additionally, we offer custom hiking trips for groups of all sizes. For extended backpacking trips, the High Sierra Camps provide tent cabins and food—letting you carry a significantly lighter backpack on your journey. For a truly personalized hiking experience, hire a private hiking guide to design a hike specifically tuned to your preferences and hiking ability. Half-day and full-day group hikes are offered from late May through early September for hikers of all experience levels. If you’re an exceptionally fit and experienced hiker, you may have your eye on conquering the summit of Half Dome. Rising nearly a mile above Yosemite Valley, Half Dome is an icon of Yosemite National Park and an exhilarating and challenging climb—but well worth it to experience the unrivaled views and sense of accomplishment. If you're not accustomed to hiking in the mountains—or simply want the comfort of an experienced guide who will share their knowledge and passion for hiking—guided trips through the High Sierra Camps are a wonderful choice. There are many hikes suitable for intermediate hikers, families with children, inexperienced hikers, and everything in between. Here are some of our favorite hikes in Yosemite.